Did you just get a new camera and want to learn how to use it? Or perhaps you've been playing around in Auto Mode for a while and really want to see what your camera can do? 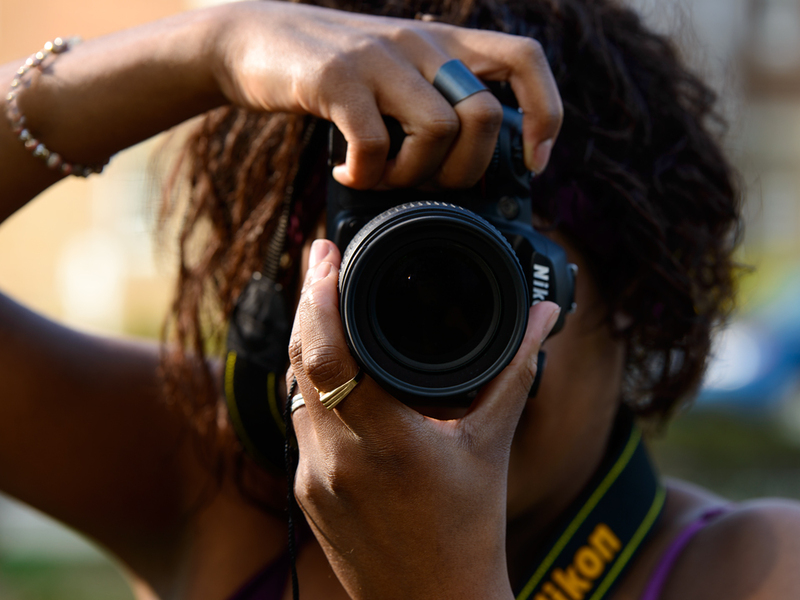 This course introduces beginners to the creative and technical possibilities of digital photography through classroom lectures, demonstrations, and instructor-led photo shoots. Topics include camera operation, exposure controls, shutter, aperture, ISO, white balance, depth of field, composition, portraiture and landscape photography. Students have the opportunity to continue their studies at home with the accompanying course website. The website is packed with slides, links, resources, and practice quizzes that students may view at their own pace to reinforce topics covered during class sessions. A digital single lens reflex camera (DSLR) or mirrorless camera with interchangeable lenses and manual settings (such as a Sony Alpha or Panasonic Lumix) is required. Please bring your fully charged camera, the instruction manual, and a notebook with you to your first class. This class is given in cooperation with the Clarkstown Community Learning Center. Their policy is that no refunds are given after the start of the first class. No refunds are given once a class has begun. If you decide to cancel your registration prior to the first class, a full refund will be given minus any fees collected by the Clarkstown Community Learning Center and any administrative fees. Questions? Feel free to contact us before you register. Level I - Students are new to photography and either have no formal training in photography or perhaps took a class a long time ago. Level I students are unsure of the operation of their gear or may feel intimidated by taking their camera out of "auto" mode and playing with the manual settings. Photographs of Level I students show significant technical issues as well as compositional issues as they have not yet received training. There's nothing wrong with being a Level I photographer, we all started there, and remember what it's like. Level II - Students have some understanding of photography principles and may have taken a class or two. Level II students are somewhat familiar with their gear and try to use manual camera settings when they can. As a result, they have gotten lucky from time to time by creating great photographs that were the result of "happy accidents". Although their pictures are applauded by friends and family, they are still at the beginning of learning their craft and their images may have technical issues. Additionally, they can be so caught up with using the right settings they may forget to focus on the artistic side of photography such as composition and lighting. Level III - Students have a solid understanding of photography principles, thanks to some formal training, and are completely comfortable using their camera in Manual Mode. Level III students have overcome most technical issues relating to exposure and sharpness and are starting to play with interesting lighting and compositions. Most of their photos look better than the average persons and are starting to be thought of as a photographer by friends and family. Level III students may be starting to think about doing some low-end paying photography work or upgrading their gear to full frame sensors and pro lenses. Level IV - Students have significant experience making, capturing, and processing images that more often then not exhibit a complete understanding of photography principles and creative artistic qualities. Level IV students no longer worry about camera settings, they just happen automatically in their head, and all of their photos are sharp and well exposed. In addition, Level IV student photos exhibit consistently decent lighting and composition and a few of their very best photos exhibit these qualities that can be described as dynamic, beautiful, and awesome. They are not afraid to try unusual or extreme techniques but sometimes use them as a crutch to give their photos that "wow" factor. Level IV students are regarded as "really serious about photography" and may have considered going pro. Level V - Students have advanced skills and knowledge of photography. Their work is consistently at a professional level with no image quality issues and technicals are spot on. Level V student photo compositions have a maturity about them with a clear style and creativity. A Level V student is capable of shooting in almost any lightning condition and bringing back great photos that are interesting and well exposed. Level V students may or may not be working professional photographers but based on their level of work certainly are capable of being a pro.